Whose face do you picture when you think of a missing person? Is it a pretty college co-ed? A young child? An elderly person? Were they kidnapped? Did they wander off? Did they simply decide to leave? The fact is that there is no real “standard” missing person. As private investigators, we’re sometimes called upon to help track down or find missing people. Here are a few statistics about missing people in America based on numbers from 2012. The number of missing person reports has gone from 150,000 in 1980 to 900,000. An average of 2300 people are reported missing in this country every day, including children and adults, though the majority are adults. The National Center for Missing Adults has roughly 48,000 active cases. 53% of missing adults are male. 17% of missing adults have psychiatric problems. According to numbers from 2001, just under 800,000 missing persons reports were for minors. 25% were family abductions, usually involving custody disputes. Around 100 abductions a year involve strangers. 33% of the victims are between the ages of 12 and 17. 80% of the victims are female. 90% of the abductors are male. A common theme in missing person stories is frustration felt by the missing person’s loved ones at what they see as a lack of urgency or activity by law enforcement. It is also known that the earlier a search or gathering of evidence is started, the better the chance that the missing person will be found. If someone you care about has gone missing, give us a call at (910) 762-4374, because eace of mind is priceless, especially when it comes to finding the missing person you care about. 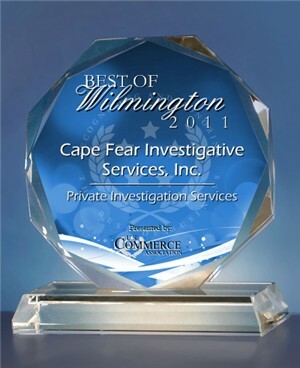 Tags: Cape Fear Investigative, Cape Fear Investigative Services, Inc.